KIEV, Ukraine -- Ukrainian President Petro Poroshenko and Prime Minister Volodymyr Groysman have greeted Ukrainian Navy personnel on the 100th anniversary since the foundation of Ukraine's Navy. 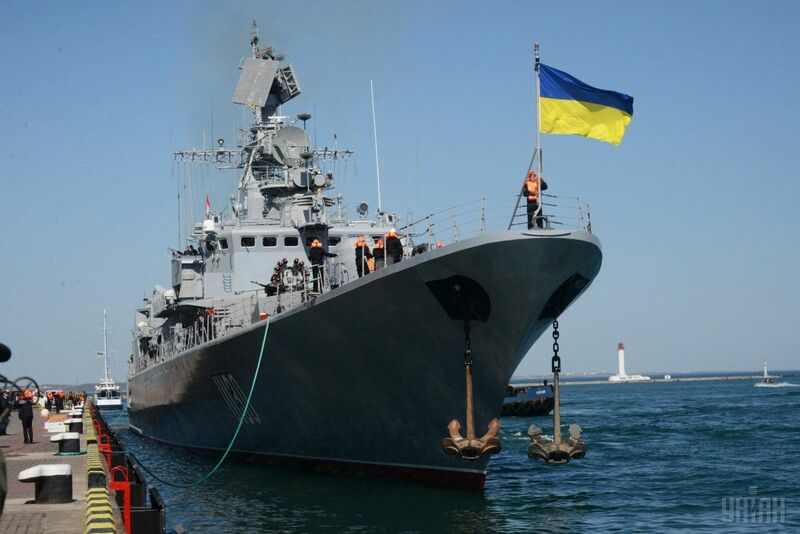 The Ukrainian Navy was affected by the Russian occupation of the peninsula most. "On April 29, 1918, the vast majority of ships of the Black Sea Fleet in Sevastopol raised the blue and yellow flag. The proclamation of the Ukrainian Navy's creation was finally crowned by the victory of the Ukrainian movement in the Black Sea Fleet, and the Bolshevik regime in Crimea was defeated by the Ukrainian army," Poroshenko wrote on Facebook on April 29. In turn, Groysman recalled that the entire Black Sea Fleet on April 29, 1918, was transferred to the subordination of the Ukrainian People's Republic. The decision was taken at a meeting of delegates of ship teams and almost all ships solemnly raised the Ukrainian flag. "We celebrate this symbolic date as the day of the beginning of the National Naval Fleet of Ukraine," the government press service quotes the prime minister as saying. "Despite the fact that the Ukrainian national revolution and statehood were suppressed by the invasion of the Bolshevik troops, the historical significance of the fact that the Ukrainian state formed the Navy is unique and far-sighted. This means that Ukraine as a sovereign and independent state will always remain a seafaring nation with its own Navy and naval traditions, which in our history are rooted in the era of the Princes, Cossacks and Hetmans," Groysman said. According to him, unprecedented damage to the Ukrainian Navy was done by the shameful campaign of the Crimean peninsula's occupation by Russian troops without identification insignia.